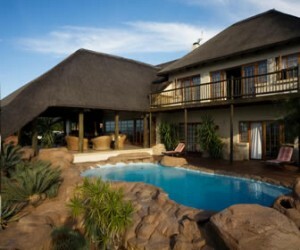 A 5 star luxury lodge with 7 en suite bedrooms. Our exclusive game farm, an international safari destination for discerning hunters from around the globe, is located in a Malaria-free zone of Southern Africa. The Karoo Bushveld hunting terrain boasts with an abundance of game; from Steenbok and Duiker, to Springbok and the majestic Kudu.